Ever constructed furniture or fixed broken ones but ended up screwing the entire look of what you are trying to make? Although you have the skill, maybe it is mainly because you are not using the right tool for the project. Well now, we are going to talk about dowel jigs, how it is used, and what to look for in a quality product. Before getting into the list of dowel jigs we highly recommend, it is important to know terms that we are going to be using in this article. A tool used to guide a drill to create perpendicular holes on a surface of a wooden board. Sizes of this equipment are variable depending on the thickness of the wooden board that you are working on. Small dowel jigs are for thin boards, while the big ones are for the thick wooden boards. These are small wooden pins, cylindrical in shape, of different diameter, length, and surface inserted into a drilled hole on a wooden board. These are used to join or reinforce two boards and create a structure. Dowel joints can be made by hand or it can be brought from a hardware store at an affordable price. This is the created structure when adjoining two wooden boards together using a dowel jig and a dowel. Digging a hole on a plank or board, a dowel is inserted in the holes to connect the boards. Refer to this image for you to be able to visualize the anatomy of this reading. It is important to know the terminologies for better comprehension of the technicalities. If you are wondering how in some furniture, nails adjoining a wood cannot be seen, then this is the answer. This may seem like a weak approach when it comes to construction jobs but it really isn’t as long as it is done in the right way. When purchasing the dowel jig for your construction projects, there are certain criteria that you need to consider to get the best dowel jig best suited for you. Here is your simple guide in choosing the Dowel Jig that will suit your needs. Perpendicularity: Dowel jigs should offer precise perpendicularity on the surface where you are going to drill. Angulations are very important when it comes to this procedure. Since you are going to drill a hole and insert a peg, it is just important that those two must fit well. Even you miss just a degree in the angulations; it would be hard to fit everything resulting in a poor and weak connection. Lock strength: When positioning the dowel jig, you have to secure it tightly to make sure that it does not move while you are on the drill. So, it is important to test on the lock strength of the dowel you are eyeing on. You would not want to get on with the drilling then suddenly your dowel moves, do you? Better check on this one. Size: The size of the dowel is also one of the factors that we need to consider since there are some projects that you might need a small dowel or a big dowel. For example, you are working on a wooden picture frame, of course, you would need the small ones, while if you are working on a cabinet, then you would need the big one. Now that we have gone through the anatomy and the things that you need to be checking out when getting a pair of your dowel jig, here are some of the top dowel jigs that we ought to share with you. This list could help you in narrowing your choices to the one you need and want the most. Here we go! 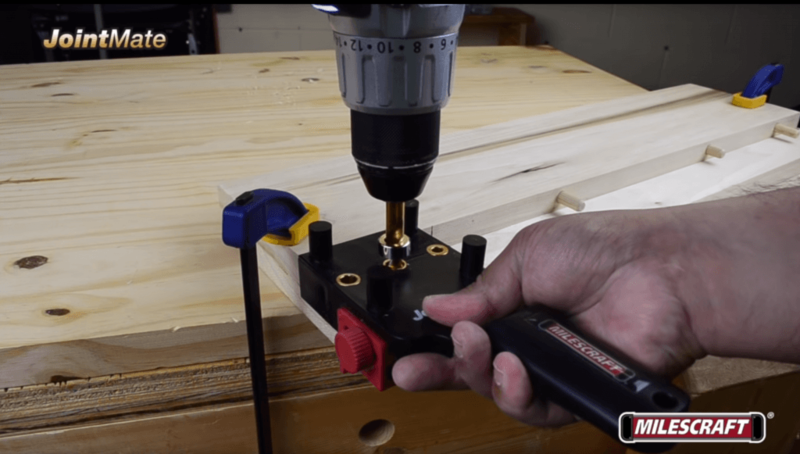 In terms of jigs and any other woodworking devices, there's a purpose why Grizzly will always be considered as one of the best: They manufacture functionality and durability. 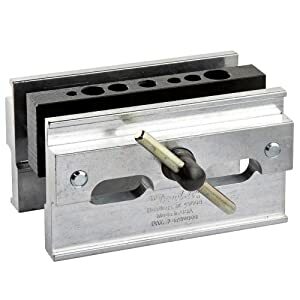 Those durable jigs are capable of preserving a workpiece up to 2 inches and can help you make holes starting from a quarter to half an inch accurately. This can be considered as an expert tool, designed for professionals, enthusiasts, and hobbyists. 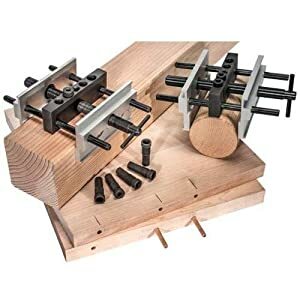 However, if you are a newbie who would invest in the dowel jig, it is sure to last for years. This certainly has to one of the choices you narrow down with. This jig works mechanically and handles round rectangular or irregular designs. Handles are up to two inches thick. There are several sizes for the drill holes but the number of choices can be limited, though. It is simple to use and you can drill two equal parallel holes without moving the jig. This dowel jig is one of the big guys that work well with big projects. The dowel jig templates can work well with thick wooden planks from a quarter to six inches and let you drill holes of different sizes. It is a totally sensible, unique and simple jig that does not need to be measured or calculated; it works as a grooving guide that makes Dowling easy. When a spacer block is inserted, the holes are easy to deal with. The best risks of this tool are that the product can every now and then be off-middle and can't be marked with a pencil or different marker. Rockler's renowned chain of carpentry and hardware shops gives a well obtained self-centered jig. This jig is well known for its excellent overall performance, design, and simplicity of use. It has the maximum ability to cover 2 inches of thickness with diverse bore sizes. 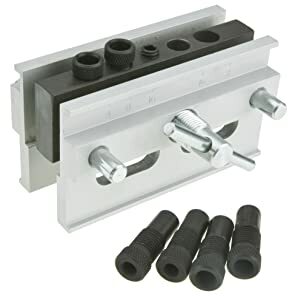 It is plated to prevent rust, and the critical block is made from strong metal so the strength and durability of this dowel jig are sure to serve you greatly and for a long period of time, at that. The jig has an easy installation feature, so even beginners can adapt to its use without even a tiny bit of difficulty. However, there are times when the accuracy of the angulations can be off. What other users do when this happens is they use a sandpaper file to correct the sizes and angulations. When you are working on a deadline, you need your dowelling to be done faster and accurately, this indeed is going to be the dowel jig of choice. It generally has fewer features that are much easier to engage with. To some, the device can be complicated but once you get used to the device, it is especially easy to maneuver them. 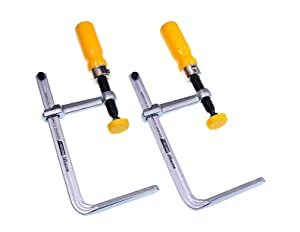 To begin with, the Microjig GRR-Ripper dowel jig has the capacity to apply pressure in three directions. This kind of arrangement enables you to leverage the unparalleled shapes and sizes. This brings along better results and outcomes. Given that equipment of this kind is more likely to contribute injuries on your hand, it is necessary that you are going to invest on the one that has a lesser risk in such incidents. Finally, what I like about this one is how the quality of the final outcome is the precise even planks that are as thin as a quarter of an inch only. By the name itself, these micro jigs by Micro jigs are one of our favorite dowel jigs despite its size. You don't have to have strong muscles and physical strength to maneuver this dowel jig. This may be lightweight but it kind of belongs to the heavyweight category if I were to say since it does its job pretty well. Some say that it does make a grip particularly well. Kind of surprising right? However, despite all the great things that this one can do, it can be a bit pricey. But hey, it is always better to invest in something good that could last you for a long time than buy something that’s easily broken. There we have the versatile list of dowel jigs that can serve you greatly. From the large ones and the tiny ones, they serve different things. So, if you are up for large projects or small ones, you have your choice. 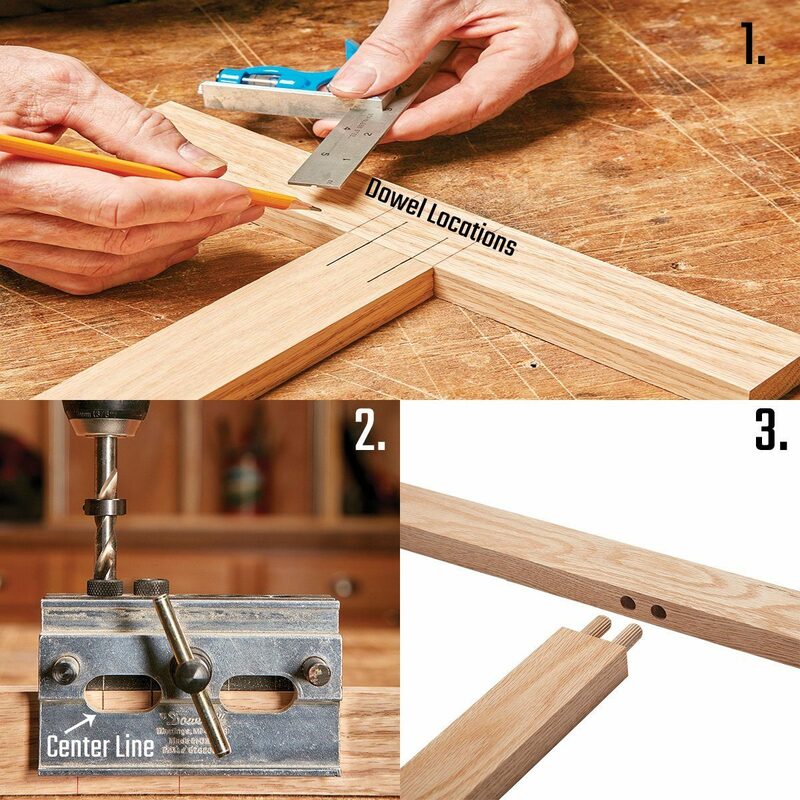 Remember the three things that you need to keep in mind when you buy your own dowel jig and keep the tough job going! Good luck!